Cecil B. deMille accepts his special award, 1952. In the early years the Golden Globe awards were a less formal affair than they are today, when they are celebrated in the International Ballroom of the Beverly Hilton Hotel since 1974. In 1947, 1948 and 1949 the Globes were held at the Hollywood Roosevelt Hotel, and in 1951 and 1952 at Ciro’s, a popular nightclub at 8433 Sunset Blvd. on the Strip. The HFPA (Hollywood Foreign Press Association) recently acquired for its Archives a collection of historical photographs that Jim Buhr took for the HFCA, documenting not only the1952 Golden Globes, on February 21, but also several press luncheons, that took place at Ciro’s in 1952, where HFCA members interviewed movie stars like Barbara Stanwyck and Tony Curtis, or presented the Cine-Revue Awards to outstanding personalities in the motion picture industry, like Doris Day. 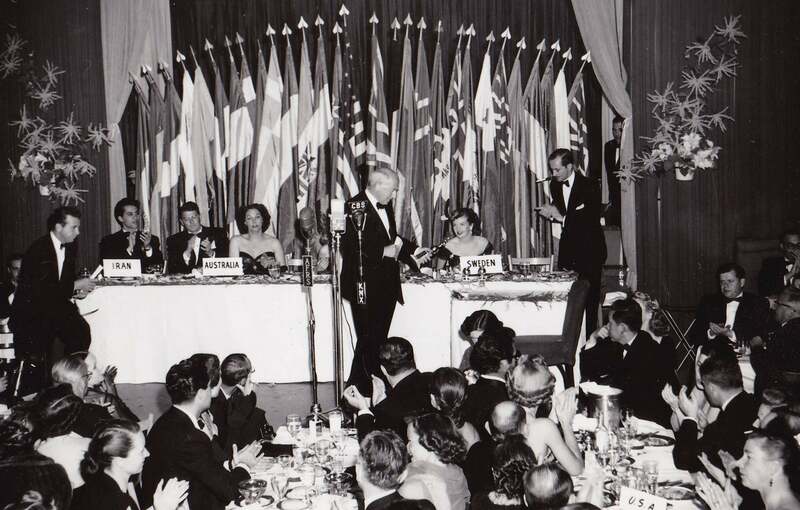 One of these events was organized by the AAUN (American Association of the United Nations) on June 12, 1952, to honor the HFCA (Hollywood Foreign Correspondents Association) and their President, Dianne Carrere; among the celebrities in attendance were Van Heflin and Ida Lupino. 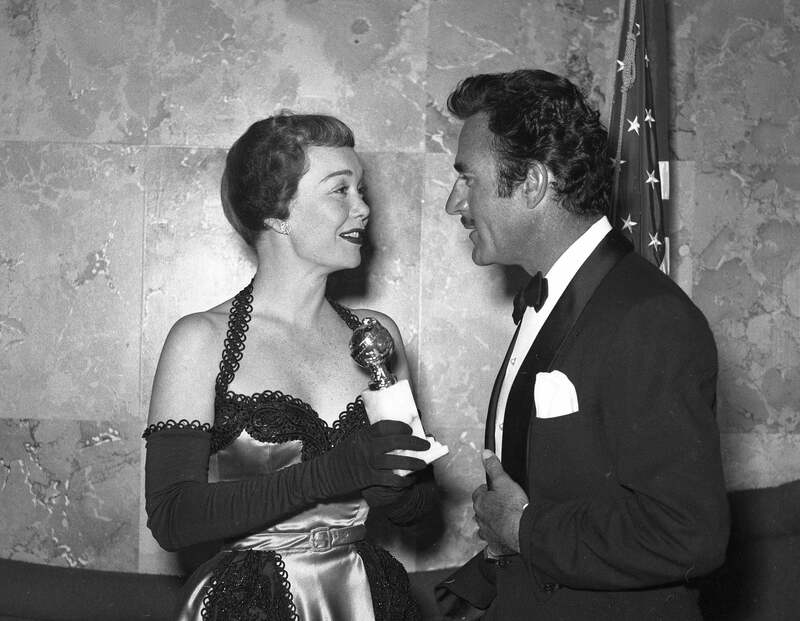 Best Actor in a drama was Frederich March for Death of a Salesman, Best Actress Jane Wyman for The Blue Veil. Danny Kaye and June Allyson won as Best Actor and Actress in a comedy or musical. 1952 was also the year when the Golden Globe trophy changed shape, from a mirrored globe representing the world on a cylindrical pedestal to a redesigned globe encircled by a film strip, mounted on a column of white Italian marble.